Kosovo is a landlocked country, but there are a lot of spots where you can have a great experience. Kosovo provides troubled ancient and modern history, rich culture, stunning nature, numerous religions monuments and friendly people. Prizren is a charming town which gives the impression of flowing along the banks of a shallow stretch of Bistrica river which slices it in half. In addition nestled in between towering green mountains and a city constructed over many centuries with a mixture of architectures but clearly dominated by the ottoman influence Prizren is definitely one of the most attractive town of Kosovo. 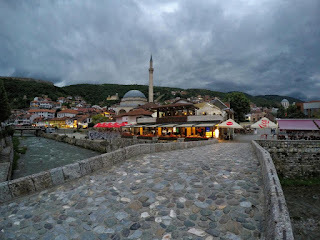 Prizren’s delightful city centre is the best-preserved and most picturesque in Kosovo, with a good collection of religious and profane buildings and quaint residential quarters, all within close range of each other. The city’s long tradition of religious and ethnic tolerance is apparent in the close proximity of Catholic and Orthodox churches, mosques and tekkes, many of them hundreds of years old. The city of Gjakova has its roots way back in the Dardanian period of history. Known in previous times as Patkova, Reka and Altin, the name Gjakova, first appeared in historical Ottoman records in 1485. Pride of place in the centre of the city was the Çarshia e Madhe, or Grand Bazaar, a large marketplace attracting traders from all over the region that was seriously damaged during the 1999 war but that’s now almost completely renovated. Hotspots to visit in Gjakova: Bektashi Tekke (Teqja e Bektashive), Hadum Mosque, Tailors’ Bridge (Ura e Terzive), Sacred bridge (Ura e Shenjte). 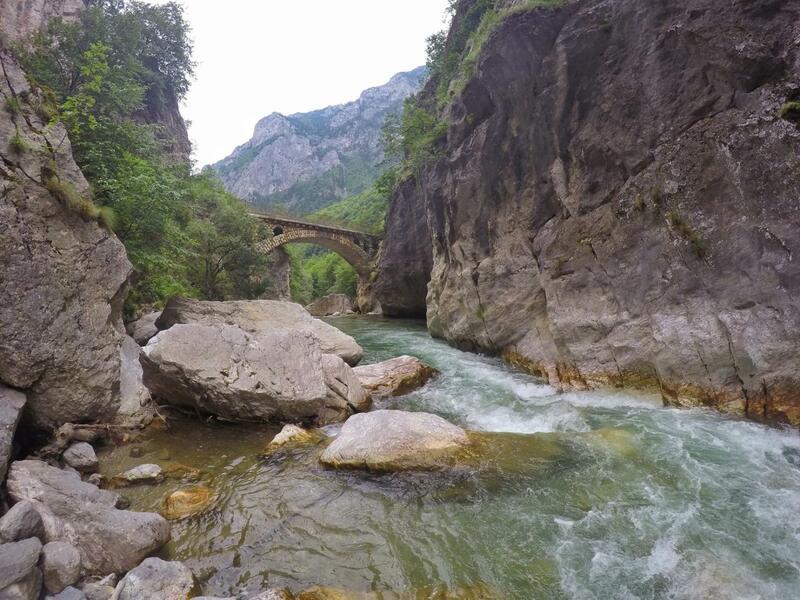 Rugova Valley located in the heart of Dukagjini, in north-western Kosovo, it is a perfect place for people who love to explore nature and wander through this breathtaking valley. It covers an area of 32.000 hectares. Its highest peak is Coursed Mountain, with an altitude of 2560 meters. Among several characteristics that distinguish this valley, following are the most important ones -Bistrica River, which passes throughout 12 kilometers of the valley -Waterfalls that fall from a height of 30 meters -Two lakes at an altitude of 1 800 meters above sea level and -A number of caves Rugova Valley is considered as an ideal place to spend a day or a couple of days, when you need to relax and get away from the daily routine and dynamic life in the city. It is a quiet preserved and unexplored region, and this offers a unique entertainment opportunity for the lovers of eco and rural tourism. Mirusha Waterfalls is a chain of waterfalls found in the Mirusha River, situated on the south of the Gremnik Mountains; on the way to Gjakova at an altitude of 572 meters. Its distance from the capital city is approximately one hour. Mirusha River engraved a 10 km long canyon and created 13 river lakes with 12 waterfalls between them. 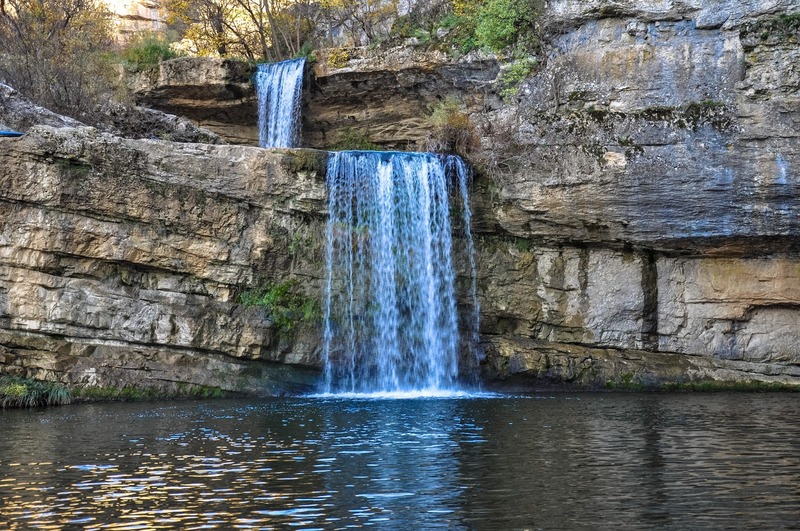 The waterfall with the biggest height is the one between the sixth and seventh lake, and it is 22 meters high. Those waterfalls between the lakes, together with the stunning landscape, and rocks and caves around the waterfalls, form an overwhelming sight and present a special tourism attraction. Although the water temperature is usually quite cold, throughout summer when the temperature is high, swimming there can be incredibly pleasant. Decan Monastery located in Decan 2 Km from the town. The monastic catholicon is the largest medieval church in the Balkans containing the most extensive preserved fresco decoration. 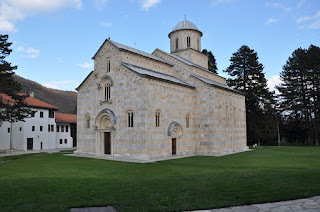 The monastery was established in a chestnut grove by Serbian King Stefan Uros in 1327. The following year the king died and was buried at the monastery. The monastic church, and built from blocks of red-purple, light-yellow and onyx marble, was constructed by builders working under a Franciscan monk, Vitus of Kotor. The church is distinguished by its imposing size and Romanesque and Early Gothic structure and design. 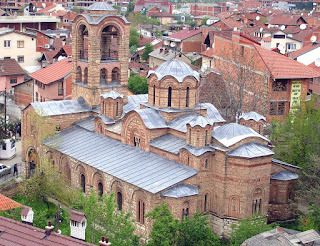 In 2004, UNESCO listed the monastery on the World heritage list citing its frescoes as "one of the most valued examples of the so-called Palaeologan renaissance in Byzantine painting" and "a valuable record of the life in the 14th century". The Bear Sanctuary Prishtina is a national park in Kosovo in close proximity to the city of Prishtina. The sanctuary is built on an area of fifteen hectares. 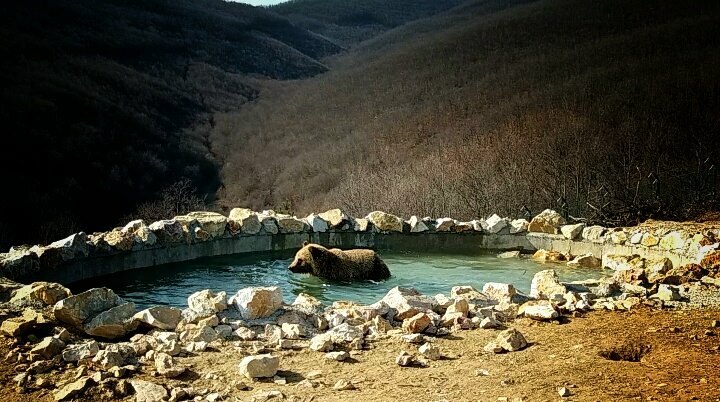 Everyone who visits Pristina shouldn’t go without seeing this park with dozens of bears. Kosovo become one of the favorite countries to be visited by bloggers and journalists, who are writing recommendation why to travel to this country. 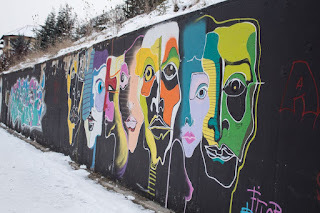 Here is a blog from Anita Hendrieka, who is listing 8 reasons, why you should visit Kosovo. I knew that the second I stepped foot in Kosovo I would love it, and I was right. Kosovo is such a unique place for many reasons and honestly, it was one of my favourite countries I visited at the beginning of this year. So, let’s get into the reasons why you should visit Kosovo! Yes, you read that right! In 2008 Kosovo declared independence making it the newest country in Europe. Unfortunately, not everyone still to this day recognizes Kosovo as a country. Spain, Greece, Russia and many more still consider Kosovo as a part of the country of Serbia. I recognize Kosovo’s independence as an independent country from Serbia. If you have anything negative to say about Kosovo’s independence, then please don’t bother. This is not a place for political arguments and any negative comments will be removed. I am not looking to have a debate on this issue. I recognize Kosovo as an independent country and in my opinion, everyone else should too. 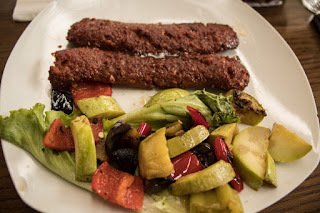 I couldn’t count on both hands how many times I had Sujuk (spicy sausage). It’s honestly the most flavorsome meat I have ever had. To my surprise, it can be spicy. I wasn’t expecting it to be as in Albania spicy food is not popular at all. So, if you come to Kosovo make sure you try Sujuk. Every single person I encountered in Kosovo was friendly. Everyone is willing to have a conversation about your travels or if they don’t speak English, they will happily smile at you. If I ever needed any help with directions, there was always someone asking me if I was okay. They are very hospitable people! 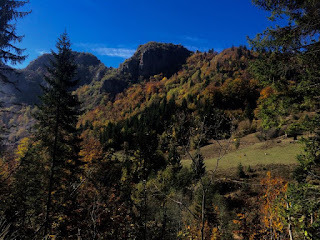 From snowcapped peaks to rolling countryside, canyons and caves, the nature and views in Kosovo blew me away. It was one of the prettiest places I have been to. One of my favourite places was Peja. The views from the mountains above will blow your mind – trust me! As a tourist, travelling in Kosovo is extremely affordable. You can grab a full meal for under a few euro. It’s one of the most affordable countries in Europe. Therefore, Kosovo is very attractive to backpackers. If you want your money to go a little further, then visit Kosovo! If you have never tried raki before then you’re in for a shock. Raki is a distilled alcohol normally made from grapes, peaches or any other type of fruit. It’s extremely strong – it can range from 20-60% (no one really knows the strength). The raki, in my opinion, was very different from the one I’m used to in Albania. It’s a lot smoother, I liked it a lot! As mentioned above, Kosovo has had a damaging past. From civil war to newly founded independence, there is lots to learn about the history of Kosovo. It’s no secret that Kosovo has had a stormy past. As mentioned, in the 90’s international relations had to intervene. 8 THEY HAVE THE BEST MACCHIATO IN THE WORLD! I never knew this before visiting but just out of Pristina in a town called Gjilan they claim to have the best macchiato…in the world! Yes, you read that right. Make sure you visit a bar called Papaku to try. It’s famous for having the best. I can confirm that the macchiato was delicious, was it the best? I actually have no clue as that was my first every macchiato, but others have claimed that it is, in fact, the best, even better than Italy! Now that’s a big claim. The largest travel guide book publisher in the world “Lonely Planet” has listed Prizren of Kosovo among 10 European cities to visit in 2018. Lonely Planet highlights the beautiful Ottoman architecture of Prizren, dramatic landscapes and burgeoning wine region of Rahovec. 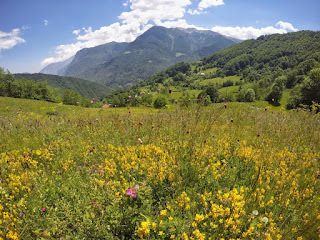 “Continually mentioned as an on-the-cusp destination, tiny Kosovo, wedged between two mountain ranges in the heart of the Balkans, has somehow stayed below the radar of most travellers. But with the country celebrating 10 years of (albeit disputed) independence in 2018, that looks set to change. Coursing with energy, the world’s second-newest nation also boasts Europe’s youngest median population – and it’s their verve fuelling its development. From Kosovo’s world famous artists, to natural attractions and culture, “Blick", a Swiss German-language daily newspaper lists 10 interesting facts about Kosovo. The youngest country on the European continent has left the war turmoil behind. The Kosovars are proud of their homeland and welcoming visitors so far. The small Balkan state has its own special charms. If you are looking for a different adventure, you will find it here. Just now she stormed the charts again: The 27-year-old British pop singer Rita Ora (born Rita Sahatçiu) is a daughter of Kosovo. She was born in the Pristina capital of Kosovo in 1990 and fled to London a year later with her parents and siblings. The Kosovars are nevertheless proud of their "successful" and beautiful music export. And Rita Ora is also interested in her roots - since 2015 she is honorary ambassador of the country. The Mirusha Falls (in Albanian Ujëvarët e Mirushës) are one of the most impressive natural spectacles in Kosovo. Mirusha Waterfalls is a chain of waterfalls found in the Mirusha River, situated on the south of the Gremnik Mountains; on the way to Gjakova at an altitude of 572 meters. Its distance from the capital city is approximately one hour. Mirusha River engraved a 10 km long canyon and created 13 river lakes with 12 waterfalls between them. 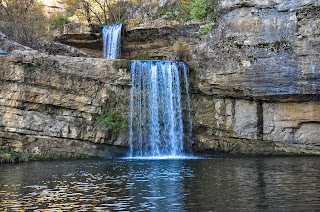 The waterfall with the biggest height is the one between the sixth and seventh lake, and it is 22 meters high. 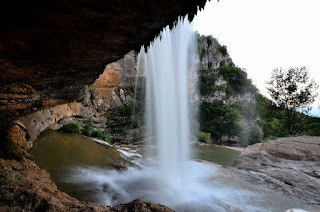 Those waterfalls between the lakes, together with the stunning landscape, and rocks and caves around the waterfalls, form an overwhelming sight and present a special tourism attraction. Although the water temperature is usually quite cold, throughout summer when the temperature is high, swimming there can be incredibly pleasant. From a distance, the castle ruins of Novo Brdo look like one of the rundown castles from the cult series "Game of Thrones". 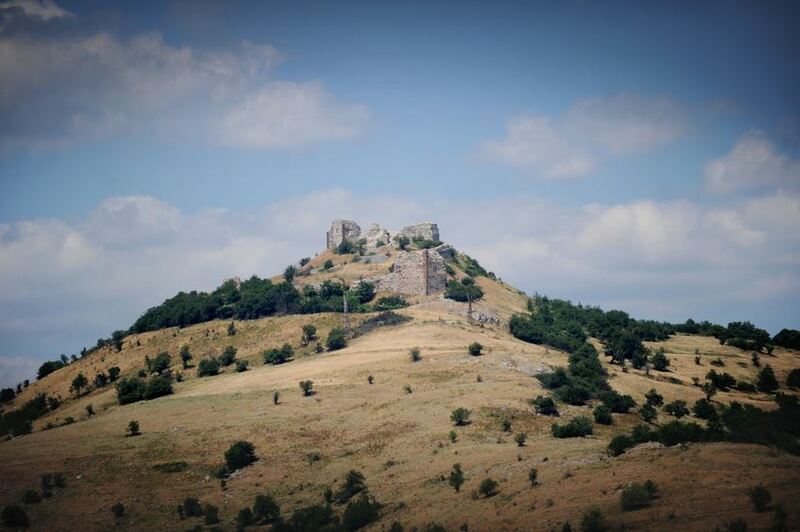 The structure towers powerfully on the extinct volcano, after which it is named, the Novo Brdo (which means "new hill"). The fortress was built in Byzantine times. In the 13th century it was pimped up by Serbian kings and served to secure the numerous mines, which were primarily looking for silver. Sorry, Italy, but the best coffee is in Kosovo. Nowhere is the black brew prepared with more love than in the small Balkan state - say connoisseurs. Everywhere you will find pretty little coffees with silvery glossy espresso machines. One of the most famous is the Café Soma near the pedestrian zone "Nënë Tereza" in the center of Pristina. If you want to do it like the Kosovars, do not order an espresso or cappuccino, but a "macchiato" (espresso with milk froth). When the mountaineering group in Nepal's Everest Basecamp announced that they would not take them to the summit because it was all too hard for women, Utah Ibrahimi (34) only spurred on. The former marketing woman and successful tourism organizer grabbed her Sherpa and climbed alone with him the highest peak in the world. She was the first Kosovar on Everest - now she wants to climb the remaining thirteen 8000er. If you want to go climbing or hiking with the lively young woman or do yoga with her outdoors, you can visit her homepage for her outdoor activities. The National Theater in the capital Pristina is the only theater in the country. It was founded in 1946 and declared "National Theater" after the end of the War of Independence against Serbia in 1999. Over 400 in-house productions have been performed in the venerable house, including politically extremely courageous and controversial productions - sometimes even under police protection. Slightly less controversial are the performances of the Kosovar National Ballet, which also take place here. Kosovo and the EU, so far a rather unfortunate love story. 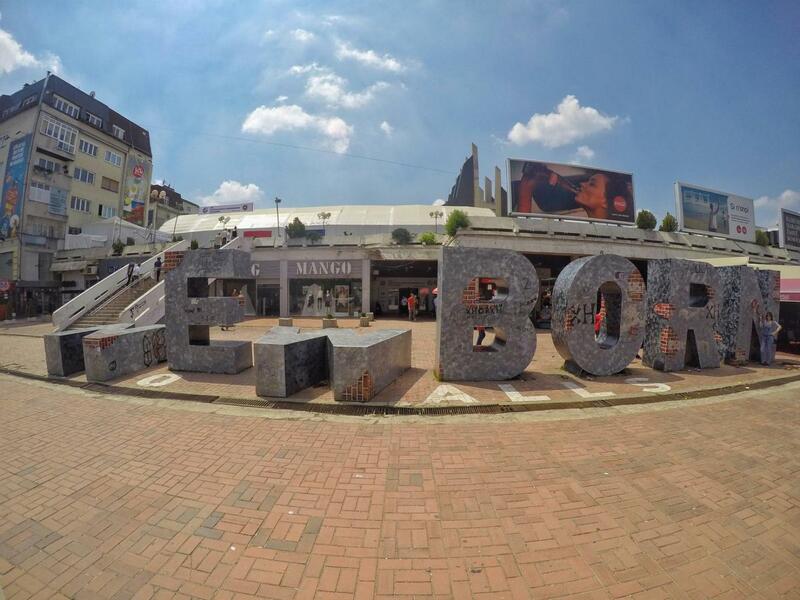 The Kosovars hardly want anything more than to finally belong to the EU. Twenty-three out of the 28 EU Member States have even recognized the country (all but Greece, Romania, Slovakia, Spain and Cyprus). For years, the EU's Eulex Mission has been trying to help Kosovo build the rule of law. Nevertheless, the road to Europe is even further for the Kosovars. Together with the Belarusians they still need a visa if they want to enter the Schengen area. The city on the "White Drin", the largest river in the country, abounds with cultural historical monuments. Not only the World Heritage Monastery Visoki Dečani of the 100,000-inhabitant city attracts visitors. The Red Mosque (built in 1173), the Bajrakli mosque also have beautiful ornaments and a lot of history. 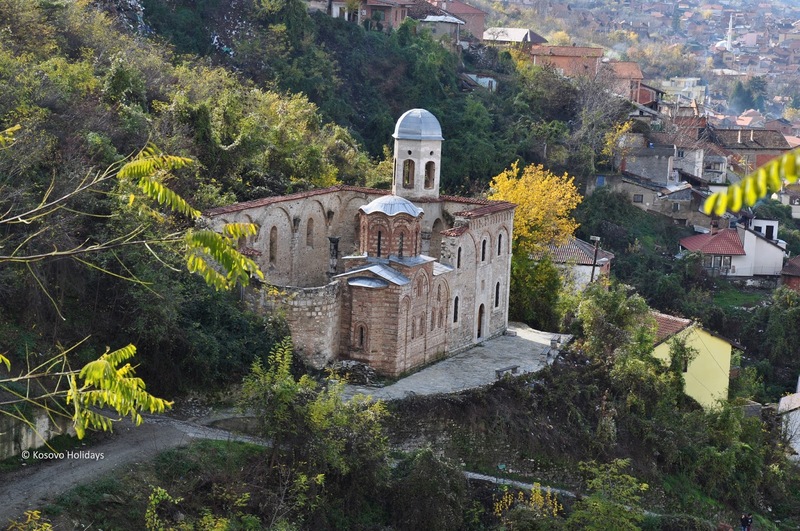 The Church of St. Catherine is the spiritual center of the region's Catholic Albanians. On a themed trail, the religious sites can be explored in about two hours. Just 68 people live in the small, Serbian-dominated village in the south of Kosovo. 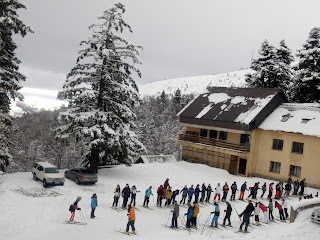 As a winter sports resort Brezovica is probably the most important spot in the country. The approximately 80-kilometer-long mountain range that extends between Kosovo and Macedonia, reaches heights of over 2000 meters. In the ski center (one of three winter sports facilities in Kosovo), nine prepared tracks and several powder snow slopes await skiers and snowboarders. Once they were to serve as evasive slopes for the 1984 Winter Olympics in Sarajevo. With 2566 meters, the Gjeravica is the highest mountain in Kosovo - officially, at least. For a few years ago, when the border with Macedonia was redrawn, the "Maja e Njerit" suddenly stood on Kosovar territory. At 2568 meters, the summit is a whopping two meters higher than the Gjeravica. He is not yet officially recognized. Nonetheless, the "smaller" mountain in the west of the country remains one of the most popular hiking destinations. 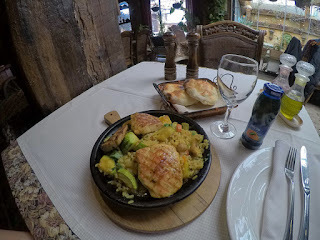 You will be surprised by the culinary in Pristina: “Whoever strolls down the city promenade from Skanderbeg Square - this is where the theater is located - should do so on an empty stomach. 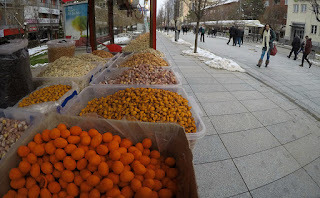 Because here are numerous stalls with Albanian, oriental and international delicacies. Especially between April and October, this food mile is a real culinary highlight. Read more about his trip below in English, or the original article in Dutch. In the youngest country of Europe proportionately, most young people live, much of them in Pristina. 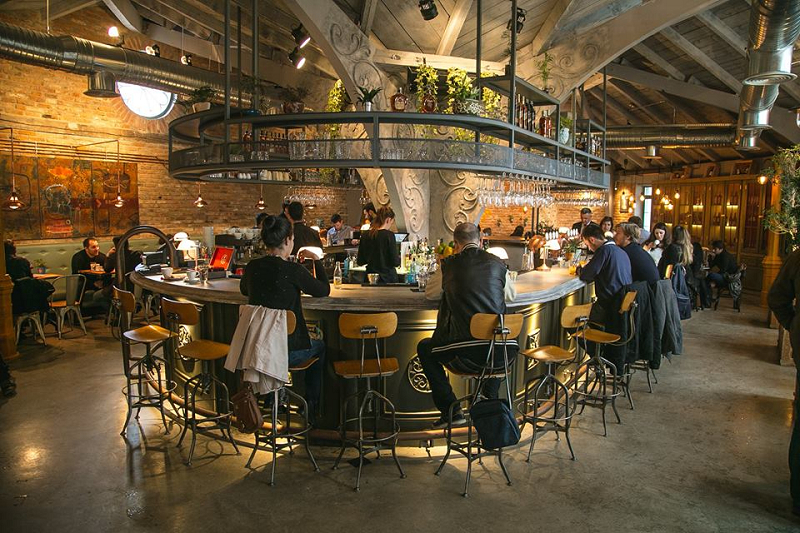 On the one hand, the city with its old buildings still has the Yugoslavian charm, on the other hand, one encounters more and more hip and modern cafes, theater and art. People in the Balkans are passionate coffee drinkers, as you can see in Pristina. Many politicians and members of parliament are attracted to this because the seat of government of Kosovo is right around the corner. If you like to work on a laptop or mix with the locals, you should make yourself comfortable in the Soma Book Station , which by the way is run by a cat. Well, not quite. The cat belongs to the owner. She spends most of the day in the café and is very sociable with the guests. Also recommended are the Cup o Tea, Tartines , Tiffany , MIQT Pub , Kadare Bar Books and the Mana Board Game Bar, which offers a wide variety of board games for their guests. Pristina is not too big, the city center can be explored on foot. Here you will also find the most beautiful buildings, attractions, museums and mosques. A few meters away is the Mother Teresa Cathedral. Muslims and Christians live peacefully together in Kosovo and have been for a long time. For one euro, my tour guide Armend and I take the elevator up the cathedral. From the top you have a breathtaking view over the city and the nearby mountains. The history of the country is reflected in almost all the sights of the city. 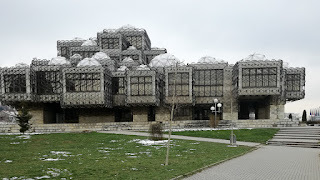 So also on the Ibrahim Rugova, the Skanderbeg Square and the National Museum of Kosovo. 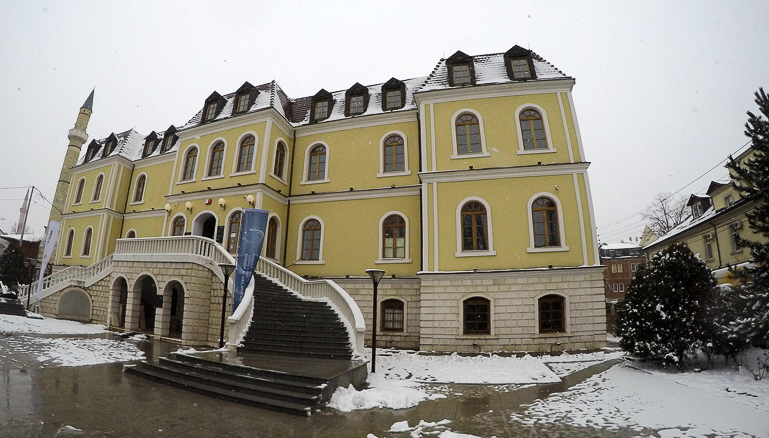 While finds of early history are shown on the ground floor of the museum, on the first floor you will find the very interesting but also disturbing exhibition on the Kosovo War from 1998 to 1999. After a 60-minute history lesson, it's time to go outside again. 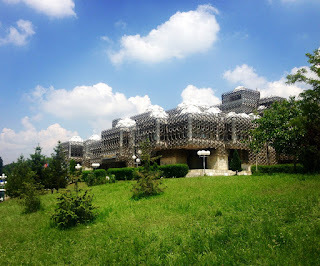 Actually, I'm more of an outdoor and nature lover, but the story of the collapse of the former Yugoslavia has captivated me so much that I try to go to any museum and talk to people about it as soon as I'm in the area. Right next to the museum is the Great Mosque of Pristina. Armend begs me in, we take off the shoes before. A very warm, peaceful and above all welcoming atmosphere surrounds us. So many impressions and information. And we were not even in the city center. The large yellow Lego stone on Ibrahim Rugova Square symbolizes not only the six regions of Kosovo, but is also seen as a missing puzzle or Lego piece of the EU. Kosovo is pro EU and America, as the UN and some big politicians strongly supported the Kosovars during the war. As a sign of their attachment, they not only created Bill Clinton Avenue, but also erected a statue in honor of the former US president. Many parents have called their sons Bill or Bill Clinton. I had to ask twice when I heard that. Whoever strolls down the city promenade from Skanderbeg Square - this is where the theater is located - should do so on an empty stomach. 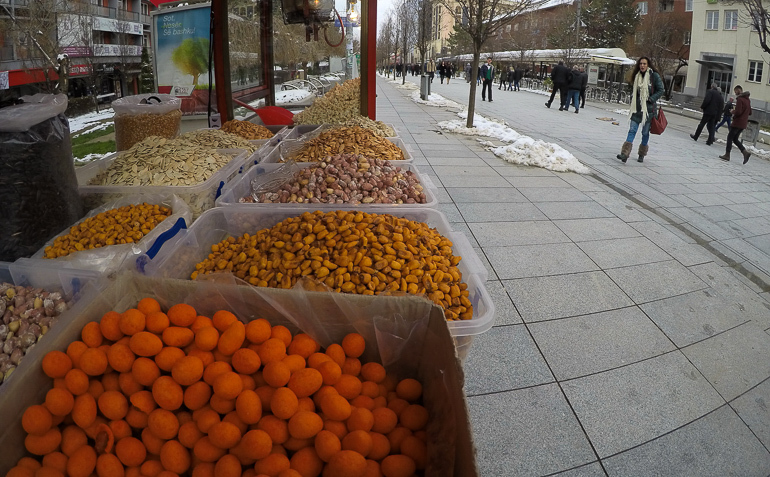 Because here are numerous stalls with Albanian, oriental and international delicacies. Especially between April and October, this food mile is a real culinary highlight. Be sure to try the pastries in the small bakeries. On the huge bazaar Armend shows me the hidden alleys and the traders, who besides fruits, vegetables and textiles also offer oriental delicacies, spices and traditional garments. Anyone who wants to buy something here should definitely negotiate or have a local with them, as communication problems can arise. At the southern end of the promenade you suddenly find yourself in front of a monument that you want to revisit every year once you've been in Pristina: The NewBorn Monument is redesigned annually by the creative minds of the city, so it always looks different - but always full of meaning and inspiration! 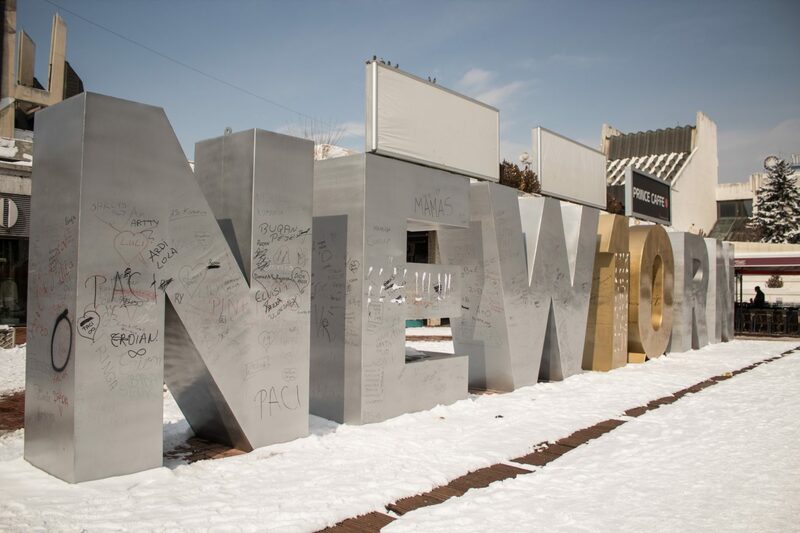 If you do not have time to visit Pristina every year, check the Instagram #NewBornMonument hashtag or the NewBorn Monument Pristina hashtag. Last year, the monument contained the message "No Walls" and this year the country's tenth anniversary. I am very curious to see what next year will be like. 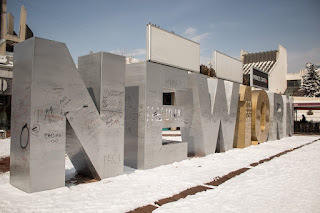 Pristina, the capital of Kosovo, is very impressive city with busy streets, numerous small shops and shops, cafes and restaurants, which are all well visited. This is how a Dutch tourist describe its impressions about Kosovo. 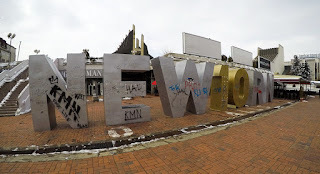 Matthias is a travel blogger from Holland, and recently he visited Kosovo and wrote a blog about it. He goes from Pristina, a city on the move, to Peja, the city by the green mountains and Prizren, Ottoman architecture and oriental flair. You find Pristina very impressive with busy streets, numerous small shops and shops, cafes and restaurants, which are all well visited. The people here are very western. Especially the women are dressed up nicely, wearing short dresses, high heels and lots of makeup. 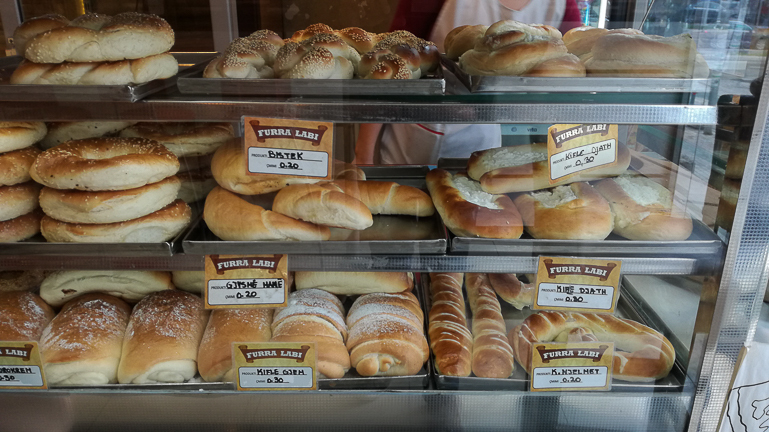 Eating out is very cheap in Pristina. A big burger for just € 1, for babs there's the vegetarian option (ie without meat patty) for only 50 cents. We visit the Great Hammam, over the extensive local market, to various mosques, to the Skanderberg place, to the architecturally unique library and of course to the Newborn monument. Three days in this lively and eclectic city come to an end. From the inconspicuous Pristina station, our trip to Kosovo continues to the extreme west of the country, very close to the Montenegrin and Albanian borders, to Peja. For 3 euros you can travel comfortably by train for two hours through the beautiful landscape. In Peja you can do a lot. In addition to the Patriarchal Monastery Peć worth a trip to the Rugova Gorge. There is a Zipline, you can climb and hike very well. I would even go so far as to say that the region is a real Eldorado, especially for abseiling and via ferrata fans. Peja is also the perfect starting point to go on the long-distance hiking trail Peaks of the Balkans. The mountains here are really beautiful. You can also just try to hitchhike and, with luck, have a local take you up to the mountains like we did. On another day we grabbed the two bicycles from the hostel (5 Euro per person) and cycled to the White Drin Waterfall. The waterfall itself is very impressive and offers a welcome cooling off on hot days. In the cave we did a guided tour and climbed 90 meters down for 7 euros per person with helmet and lamp. Pretty exciting. For this warm clothes are recommended, as it is just 10 degrees in the cave. After the beautiful and intense time we had in Peja, every place would have had a hard time to please us. The first night in Prizren we spend in the city hostel, which we unfortunately not recommendable, as it from the - admittedly very nice - roof terrace at night incredibly loud. Then we switch to Driza's House. This hostel is tucked away and exudes a family charm. Prizren stands out for its Ottoman architecture. The fortress, the Sinan Pasha Mosque and the stone bridge offer perfect photo opportunities, but also attract many other tourists. That's why it's enough for us to spend just one day in Prizren. Unfortunately we did not make it to Mitrovica. 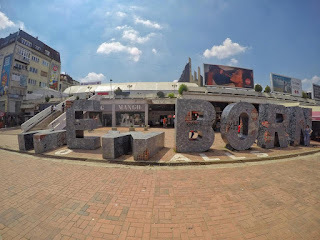 Above all, the city is so interesting because the small northern part, bordering on Serbia, is predominantly Serbian-speaking and the larger southern part is Albanian-speaking. Administratively, the city divided by the river Ibar forms independent municipalities. The Independent has recently published an article listing 15 destinations to visit before they disappear, and among them are 4 medieval monuments in Kosovo. 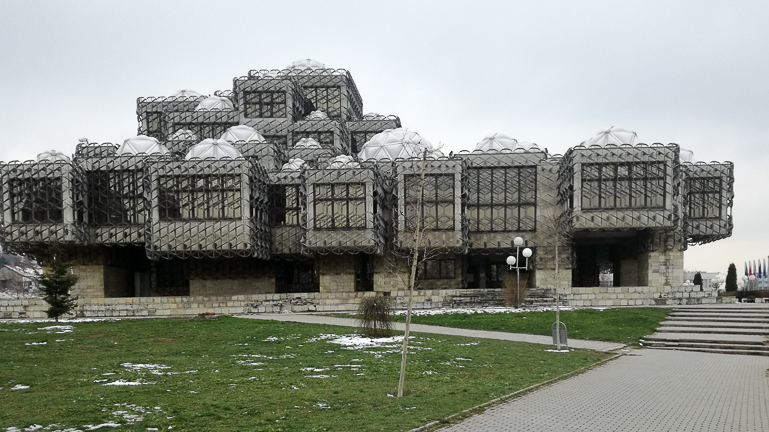 ‘Kosovo boasts plenty of medieval architecture, however, those structures endured quite a bit during the unrest in the Balkans in the 1990s. 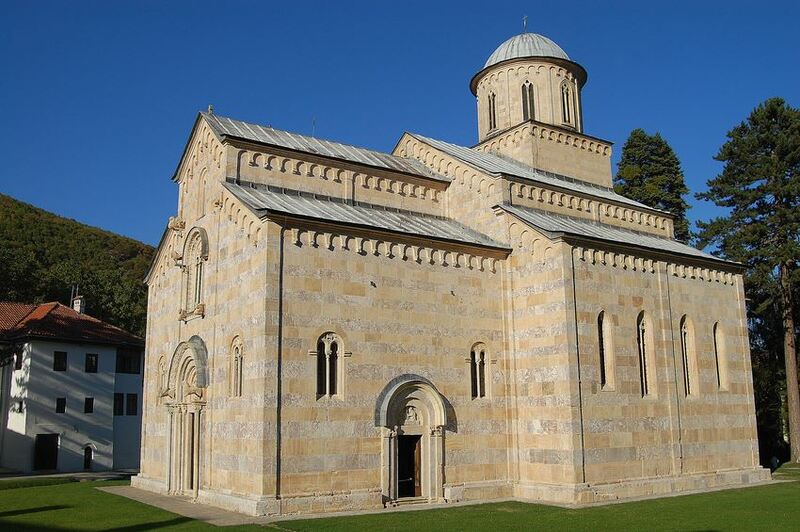 Kosovo has four cultural monuments protected by UNESCO. 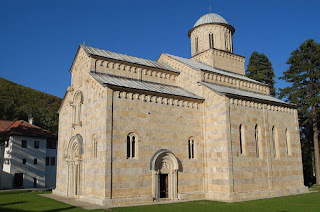 ‘The four edifices of the site reflect the high points of the Byzantine-Romanesque ecclesiastical culture, with its distinct style of wall painting, which developed in the Balkans between the 13th and 17th centuries. The Dečani Monastery was built in the mid-14th century for the Serbian king Stefan Dečanski and is also his mausoleum. 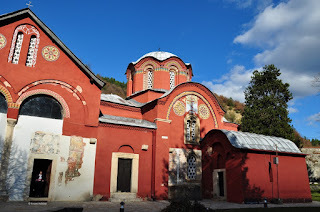 The Patriarchate of Peć Monastery is a group of four domed churches featuring series of wall paintings. The 13th-century frescoes of the Church of Holy Apostles are painted in a unique, monumental style. Early 14th-century frescoes in the church of the Holy Virgin of Ljevisa represent the appearance of the new so-called Palaiologian Renaissance style, combining the influences of the eastern Orthodox Byzantine and the Western Romanesque traditions. The style played a decisive role in subsequent Balkan art.